On Thursday, Nov. 29, Ontario Minister of Environment, the Hon. 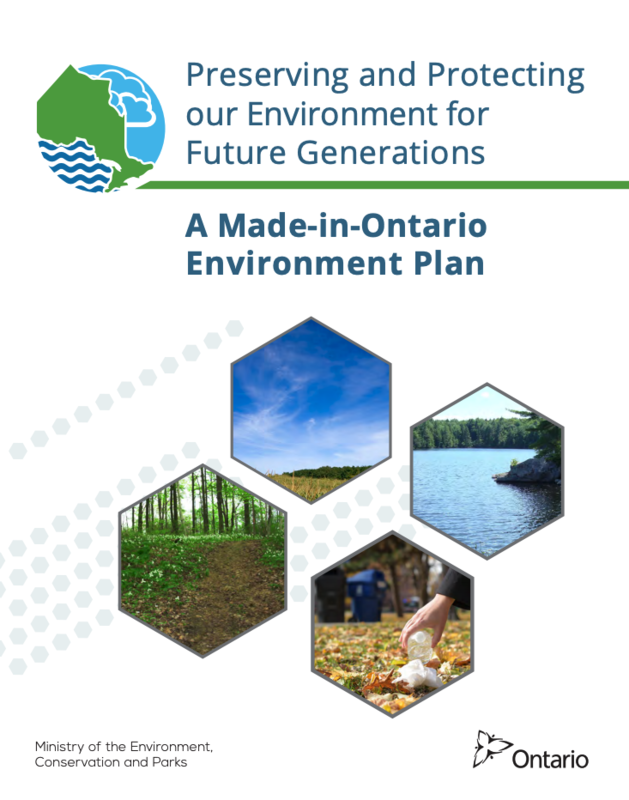 Rod Phillips released Preserving and Protecting our Environment for Future Generations: A Made-in-Ontario Environment Plan. The 53-page document will guide development of new environmental policies in Ontario. The plan contains proposed solutions to protect Ontario’s air, land and water, and reduce litter and waste while lowering greenhouse gas emissions and helping communities protect themselves from climate change. Recycling Council of Ontario has identified the key areas for waste reduction mentioned in the plan, and is actively engaged in advocacy and policy development on these issues. Improve waste reduction and diversion in both the residential and IC&I sectors. Focus on making producers responsible through Extended Producer Responsibility. Reduce plastics waste and work closely with the federal government and other provinces and territories to develop strategies for reduction. Reduce and divert organics waste in households and businesses through landfill bans, education, and expansion of organics programs. Reduce litter in Ontario parks, neighbourhoods, and waterways. Explore opportunities to recover valuable resources in waste. Support competitive and sustainable end-markets for Ontario’s waste. Interested stakeholders and the public have the opportunity to submit comments and questions on the proposed plan. Consultation closes January 28, 2019 at 11:59 p.m.
RCO takes an active approach to advocacy and policy development work related to advancing the circular economy, resource efficiency, and waste reduction.